Buy a home in Greater Sacramento Imagine buying your dream home. Let our experienced staff help you make it happen. Our team of local experts is ready to guide you through the home-buying process. We are committed to fast, professional and courteous service to help you understand and feel at ease throughout the home buying process. Our trained and licensed agents specialize in the Greater Sacramento area real estate market and are prepared to find the right home and get the best deal. 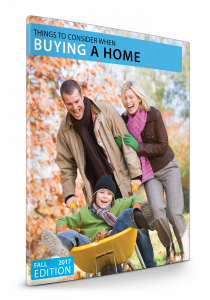 Our booklet – “Things to Consider When Buying a Home” is updated quarterly and is available to download by clicking the photo below.